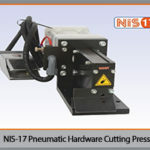 NIS-17 Pneumatic is a hardware cutting press, designed to cut windows and door hardware lengthwise. 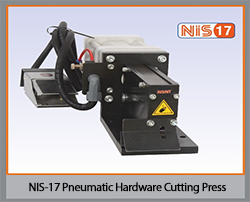 Cutting operation is carried out pneumatically. The foot pedal system provides easy and comfortable use.